Play APIs are available in both Java and Scala. The Framework uses Akka and Akka HTTP under the hood. 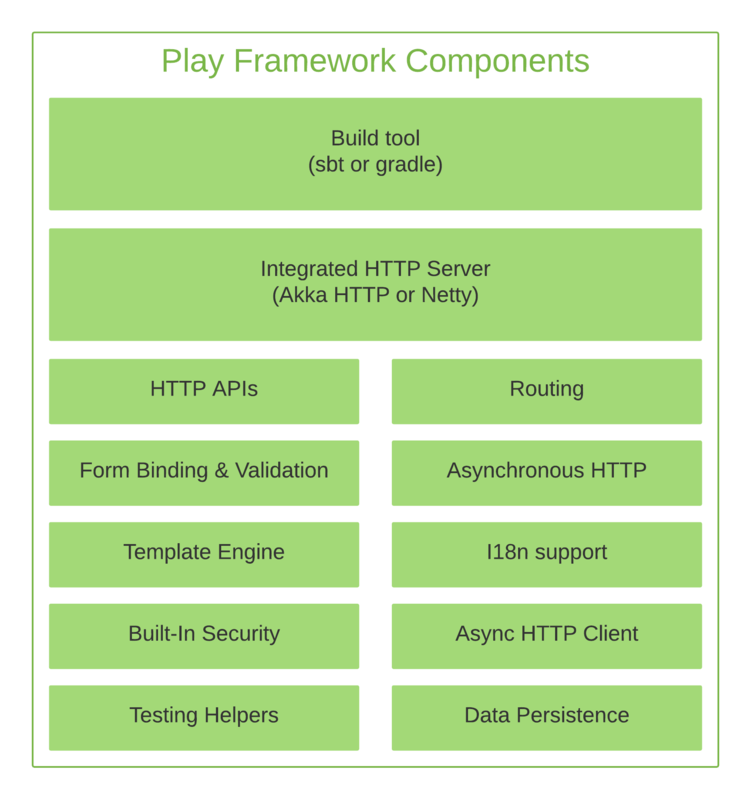 This endows Play applications with a stateless, non-blocking, event-driven architecture that provides horizontal and vertical scalability and uses resources more efficiently. Play projects contain Scala components, but because Play has a Java API, you do not need to learn Scala to use Play successfully if you are a Java developer. A large active community that promotes knowledge sharing.